I go back to work in a week and a half, so I’m really trying to get BACK on the menu planning train because I’ve kind of fallen off these past couple of weeks with multiple vacations and other things going on! 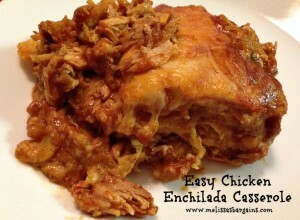 SUNDAY: Easy Chicken Enchilada Casserole – My sister came up with this recipe several years ago and it’s become a family favorite! 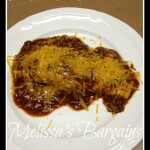 I’ve adapted it so you can make most of it in the slow cooker, which makes it even easier! 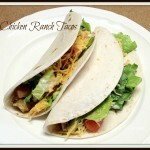 MONDAY: Slow Cooker Lemon Chicken – I haven’t tried this one yet, but I’ve had it pinned for a long time. I’ll be making mine in the slow cooker because it’s a busy, busy day today! 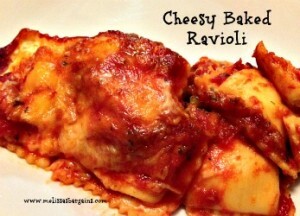 TUESDAY: Cheesy Baked Ravioli – This is SO easy to make and it’s completely kid friendly, too! You can’t go wrong! 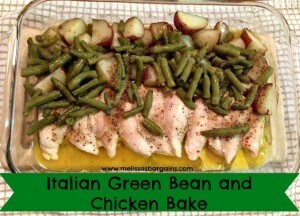 WEDNESDAY: Italian Green Beans and Chicken Bake – This is one of those recipes that I pinned on Pinterest, had pinned FOREVER and finally got around to trying! It is SO easy to make, it’s relatively healthy (especially if you cut the butter) and my entire family loved it! This time I’m going to try to make it with fat free bottled Italian dressing to cut the butter. 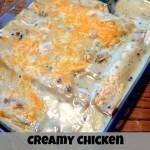 THURSDAY: Chicken Cordon Bleu Casserole – I just pinned this recipe this week! 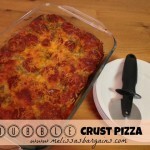 It looks interesting and we have all of the ingredients on hand, so I figured it was worth checking out! 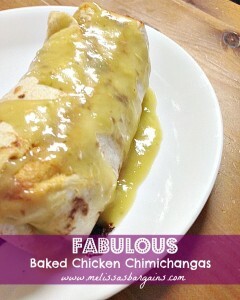 FRIDAY: Fabulous Baked Chimichangas – My kids have not stopped talking about these since I made them a few weeks ago and have been asking for me to making them again basically ever since then. SATURDAY: Three Cheese & Bacon Macaroni & Cheese – My kids LOVE Macaroni & Cheese and I’m always looking for new recipes. I can’t wait to check this one out!